“Building a marketing plan ‘through the eyes of the Shopper’ to create value for both the Retailer and Vendor requires collaboration using the best practice methodologies, insights, data and tools available. Category Management can serve as the umbrella under which the collaborative process is facilitated” (Strategic Collaboration for Shopper Satisfaction, 2015). 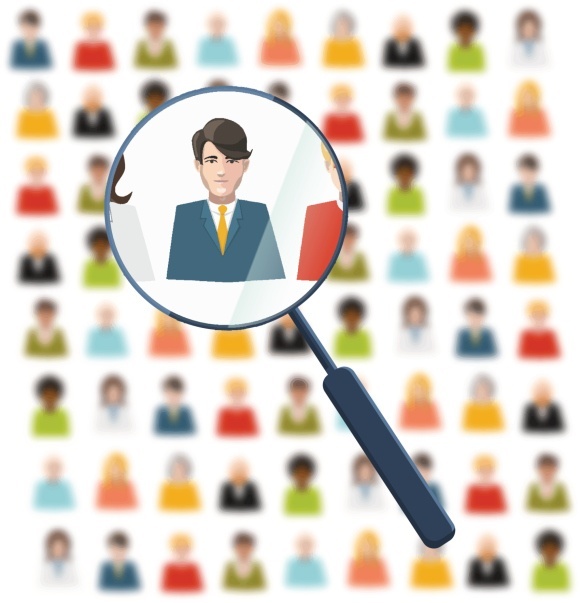 Ensure that consideration for the Shopper is embedded into the Category Management foundations specific to each unique Retailer. By understanding who the Retailer’s shopper is, what motivates them on their path to purchase, what their mindsets and attitudes are towards shopping and their shopping missions and tying in this information with their heaviest and most loyal shoppers, Retailers can create shopper segments to better meet the needs of different types of Shoppers in their stores. Retailers also need to be able to view and analyze their business across each Shopper segment and define strategies and goals for each segment, including product assortment, product placement, pricing and promotional strategies. For the segments with the heaviest buying and most loyal Shoppers, there may be a deeper level of strategies developed. Internal processes and guidelines will most likely need to be adjusted to accommodate this new Shopper-focused approach. And these overall strategies, guidelines and processes need to be communicated both internally and externally. Once these overall strategies are defined for the Retailer, category-specific work can be completed that aligns to these overarching strategies if they have been effectively communicated. This is usually when Vendors get involved in the Category Management process and they are able to work jointly with the Category Manager to provide data, market research, consumer/Shopper decision trees and/or resources specific to their categories (usually done through some type of Category Captain or Vendor Advisor type of role unique to each Retailer). By collaborating with their Vendor partners through joint business planning, Retailers can meet target Shopper needs for each category that they sell in their stores, mutually growing their businesses together. Shopper marketing is about executing programs, seeing Shoppers react, adjusting strategies based on learnings, improving capabilities and coming up with new and better and innovative ideas. 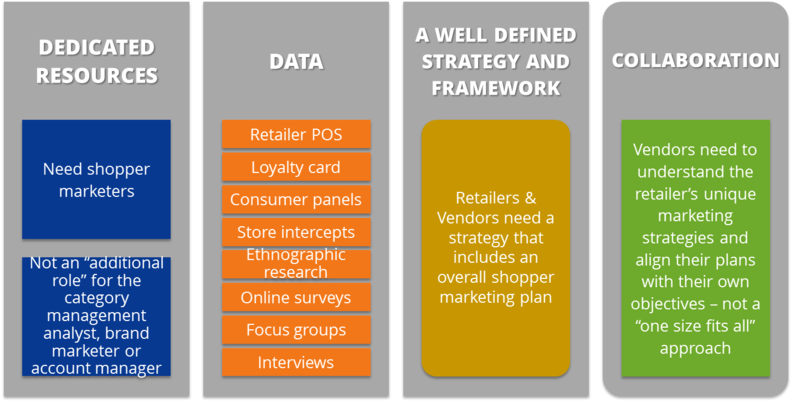 Following is a diagram that captures the key requirements for successful Shopper marketing programs. The new Category Management framework incorporates Shopper into each step of the process and can then become the foundation for Shopper Marketing and collaboration and joint business planning. As the Shopper, data, technology and digital space continue to evolve, our Category Management processes and techniques will need to continue to evolve as well.